Thursday May 02, 2019 6:00 PM Join us for an evening with Dr. Spector, world-renowned Duke University breast cancer Oncologist, heart transplant recipient and Lyme patient. He will be signing his memoir, Gone in a Heartbeat, a compelling description of his journey as a patient and a physician. He will be speaking about his quest to find true healing. Saturday May 04, 2019 1:00 PM Join Ned Wolf for a presentation and signing of his new books; Miss Chinn's Extraordinary School for Death Mentors, and a revised edition of his successful personal growth book, Awaken Your Power to Heal. Ned is an author, mediator, family counselor and natural healer. He also teaches classes in dowsing, counseling and several modalities of energy healing. Sunday May 05, 2019 1:00 PM Mark Hardcastle is an author, speaker, airline captain and musical conductor. In his book, The Symphony of Your Life, Mark shares stories about restoring harmony when life has gone out of tune. Join us to learn how examining our own lives can give us the confidence to conduct our own powerful Symphony. 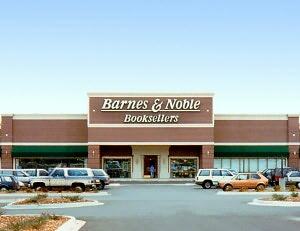 Barnes & Noble Co. Blvd Presents Family Game Night! Friday May 10, 2019 7:00 PM Calling all gamers to join us for a night of family fun! On the 10th of every month, we'll be featuring some new strategy and family board games. Enjoy a free night out and learn how to play new games every month!